Iqvia Holdings [ticket symbol: IQV] is a healthcare services company listed in the S&P 500. It features biopharmaceutical development services, clinical monitoring, clinical trial support services, and strategic planning as well as patient engagement services, medical affairs services, and scientific strategy. Iqvia was formerly called Quintiles IMS Holdings Inc. and operates in the Americas, Asia-Pacific, Africa, and Europe. Its market capitalization is so large that it dwarfs its competitors, including ICON PLC, Veeva Systems Inc., Syneos Health, PRA Health Sciences, and Medpace Holdings Inc.
IQV claims to provide transformative technology, unparalleled data, and advanced analytics. Whether customers want to design clinical trials, increase patient retention, customize R&D capabilities, or need global laboratory services, Iqvia provides solutions. But extensive healthcare products and services don’t always translate to great share price gains, so the question for investors is should you buy IQV stock or sell it? 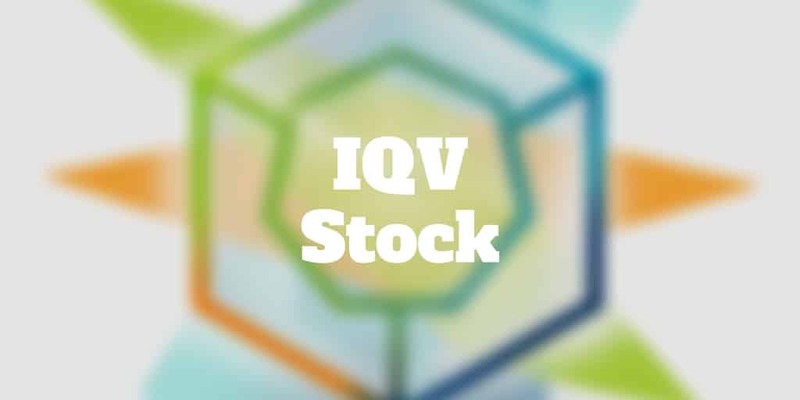 Let’s find out more in this IQV stock forecast article. The name Iqvia may not roll off the tongue but make no mistake about it, Iqvia Holdings (formerly Quintiles IMS Holdings) is a healthcare industry juggernaut. In the life-sciences industry, IQV is a leading provider of data and services. The core competence of Iqvia is knowing how to bring new drugs to market. Pharmaceutical and biotech companies can tap into the extensive network of drug-development experts IQV employs when they wish to gain regulatory approvals for new drugs. And even after a drug launches, IQV can help pharma companies laser target customers to increase the chances of success by tapping into Iqvia’s extensive database of patient medical records. With healthcare increasing as a % of GDP in recent decades and aging demographics supporting longer drug use, Iqvia has the potential to sustain double-digit bottom line growth for the foreseeable future. And whether the economy booms or falls into a slump, healthcare remains a less cyclical industry that can ride out the rollercoaster of rising interest rate hikes or even a stock market crash. That predictability in future revenues and profits has catalyzed IQV management to buy back stock, which all else being equal results in fewer shares on the market and can translate to rising share prices. But for investors the question remains: is IQV stock undervalued or overvalued? When research analysts make share price predictions, they begin by assessing growth rates of revenues, expenses, and profits, and build complex financial models involving a company’s income statement, balance sheet, and cash flow statement. By taking the average of 7 financial models below and comparing them to the estimates from Wall Street analysts, you can see how the current IQV stock price compares to its fair value assessments. Even if the fair value of a company is higher than its current share price, investors should pay heed to risk tolerance and capacity for risk. There is no point in buying a stock that may be undervalued if you get bucked off the rodeo ride because the share price is so volatile that you can’t withstand the wild swings. If IQV stock is still a good fit for your portfolio after viewing its long-term share price history, the next step is to evaluate a shorter time period to assess whether recent fluctuations meet or exceed your risk tolerance. Warren Buffett may be comfortable holding his portfolio when the stock market plummets 50%, but unless you know how to apply married put options to your portfolio that kind of rollercoaster ride may be too much to handle. If you plan to hold IQV stock for a long time period, then a sharp decline may be an opportunity to scoop up more shares “on sale” but when stocks fall it is always worth understanding why they dipped lower to make sure a major fundamental change is not taking place that could derail the share price for decades to come. In order to maximize shareholder value, which is the goal of every public company, IQV needs to sustain revenue and earnings growth. When revenues stabilize, profitability often slows too which in turn leads to investors assigning lower multiples to companies. Conversely, when revenues are growing rapidly, and costs are not rising more rapidly, fast profit growth can result in higher multiples and a booming share price. For Iqvia, the pace of revenue and profit growth should not be expected to match the historical returns enjoyed by technology companies that enjoy scale advantages like Google and Facebook. But as a healthcare leader, investors should expect healthy margins nonetheless. Perhaps more important than historical revenue growth is the future earnings forecast for IQV. If earnings per share are expected to increase over time, a rising share price usually follows eventually unless some earth-shattering event causes a major company shake-up. Price/earnings ratios are a useful barometer to compare company valuations. If you want to know whether a company is trading at a premium relative to its rival, P/E ratios can be insightful. A company with a low P/E ratio may be trading at a low share price relative to its ability to generate earnings, and could be undervalued. Equally, a rival company with a high P/E ratio may be overvalued because its price point is high compared to its earnings. But you won’t get the full picture from P/E ratios. It is equally possible that a low P/E ratio could reflect an expected future slowdown in earnings and so lower prices are discounting future negativity. Similarly, you might find that a high P/E ratio is not a sign that a company is overvalued but rather it signals that investors expect earnings to increase. Once you know how IQV is trading relative to its rivals, the next step is to know whether the P/E ratio is signaling that the stock is undervalued or overvalued. To help figure out that puzzle, we can look to IQV ROIC, which sounds like alphabet soup but is one of the most important financial metrics to assess future share price potential. Return on invested capital measures the percentage return on investment capital that a company makes over its invested capital. When the ROIC figure is greater than the company’s cost of capital, the company is considered to be creating value. The IQV ROIC is among the most important metrics to calculate whether Iqvia is creating value for shareholders. Within its industry, if IVQ has a higher ROIC than its rivals, it suggests the company does a better job of creating value for shareholders. When a company is growing at a rapid pace, investors have to discern whether it is fueled by a capital injection from taking on debt or issuing more equity, or from organic revenue growth that stems from customer demand or a growing market share. Companies that rely on tangible assets to grow like manufacturing firms generally take on more debt than companies that increase customers organically like Facebook. Sometimes, even big name companies like Apple will issue debt despite having billions of dollars of cash on their balance sheets because they can earn higher returns from investing cash proceeds than they pay in interest charges. IQV doesn’t have the luxury of a scalable platform like Google or Facebook but the healthcare sector does provide it some tailwinds when it comes to its Debt to Total Capital ratio. Both bondholders and shareholders expect to earn a yield from their respective investments in a company. The weighted average cost of capital, or WACC, measures the rate the company pays to its stakeholders to finance the firm’s assets. If a company needs $10,000 to operate and borrows half from lenders and half from shareholders but the shareholders demand a 20% return while the lenders demand a 10% return, the WACC would be 15%. Have you bought IQV stock? What factors did you use to make your buy and sell decisions? How did it work out for you and what lessons did you learn? Enter your comments below. ‹ How Do I Buy Boeing Stock?